home .Featured, Methods and Tools, Scholarly Communication One notebook to rule them all? One notebook to rule them all? 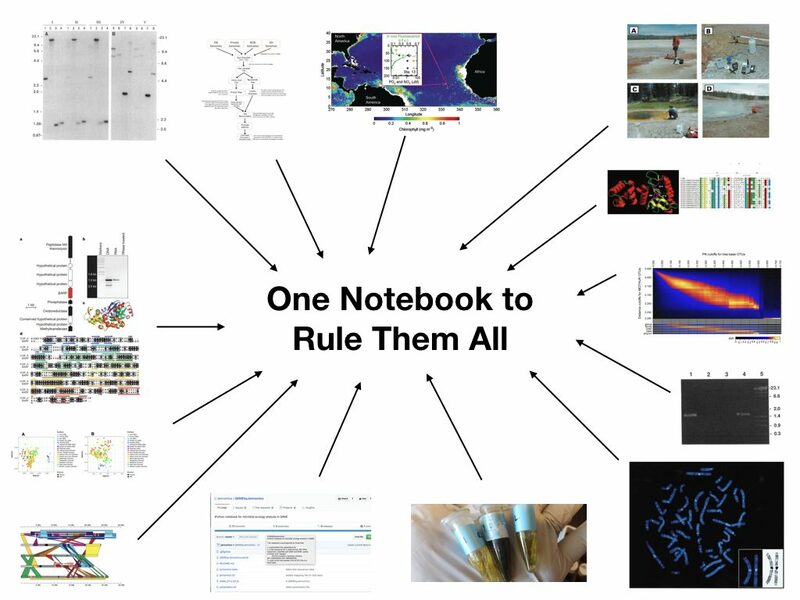 I am hoping to find a system for everyone in my lab to use which would serve as lab notebooks for everyone and allow both written materials to be uploaded and also allow a mixture of different electronic materials such as bioinformatics workflows, pictures, videos, data files, etc. I have dug around a bit and even tried things on and off (e.g., OpenWetWare) and not really found anything that seems to do everything I want it to. So I am seeking input from the community. Do people have recommendations for electronic lab notebooks that can manage everything done in your lab or research group? Evernote. Also allows PDF uploads, tagging, searching, open, partially open and edit finctions. I’ve been using Evernote as a lab book since 2008. We can share lab books, and student’s lab books are available years after the students have gone. There is a limited free version but I buy the bigger package. Some in another lab use Microsoft OneNote but it was not available for Mac (and Unix) when we decided on Evernote. I’d like to like Jupyter but the last time I looked it was not ready for prime time.